Alabama bluesgrass group, The Pine Hill Haints, will visit Barnsley this September 11th for a special concert at the Barnsley Rock & Blues Venue. The Pine Hill Haints play what they describe as ‘Alabama Ghost Music’ and it incorporates lashings of gospel, rockabilly, blues, rock and roll, celtic folk music and bluegrass, and is played on fiddle, harmonica, tenor banjo, mandolin, saw, accordion and washtub bass – so is an absolute must and a rare treat for local fans of folk and roots music. 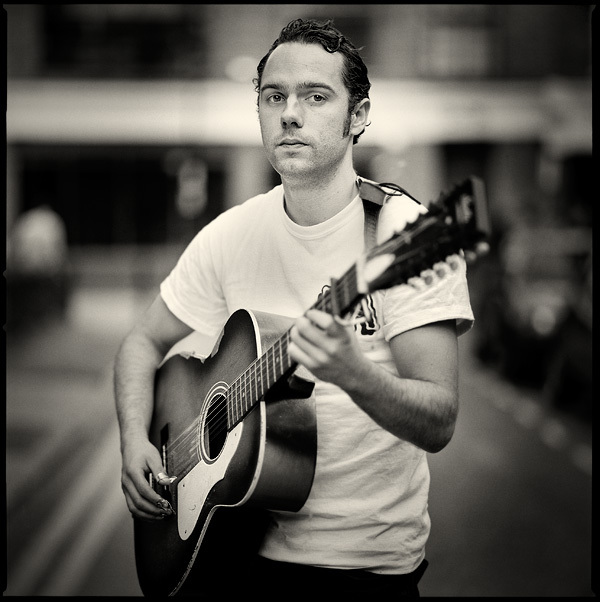 They will be joined by the Barnsley born, Leeds based Serious Sam Barrett; a talent finger-picking guitarist with a unique voice, well known for his mix of transatlantic folk, rock n roll and 50s pop… and he definitely channels the spirit of Ramblin Jack Elliott. His music has received acclaim from the music press on both sides of the pond. And indeed, it is Sam that has brought the ‘Haints over to the UK. 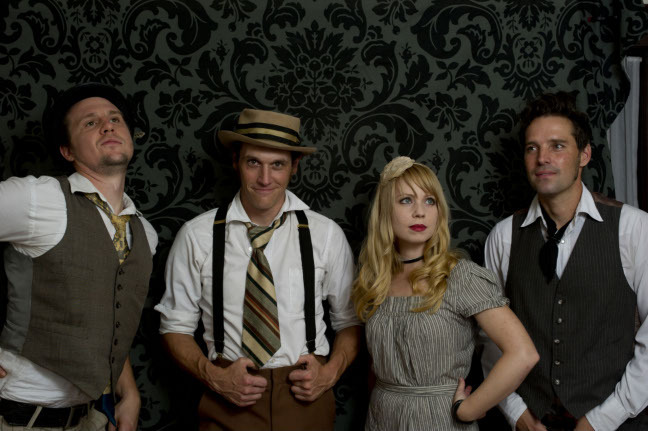 With the Pine Hill Haints he has already been on a number of international tours and has collaborated on a handful of records. I caught up with Sam on the eve of their joint UK dates to ask him about the Haints and his experiences of playing with them. Sam, I was wondering how the Barnsley Folk scene influenced you? What other musical influences have found its way into your music? I grew up around a lot of folk music and Rock n Roll. My Dad and Uncle played guitar and I learned from watching them. I also loved Blues music as a kid and got into country a lot later on too. What’s the folk and roots scene like out in Leeds? Leeds has a really great folk and acoustic music scene. It really punches above its weight and the bar is set very high for musicians of that style. It also has a long history of great roots/blues guitar players going all the way back to Steve Phillips and Brendan Croker. And how did you first come across The Pine Hill Haints and how did those first joint shows come about? I first met the ‘Haints when I was booked to support them at the 1 In 12 Club in Bradford. We hit it off right away. We all had an interest in the gritty end of folk and country music as well as skateboarding and punk, so we felt like Transatlantic kindred spirits. What’s been your favourite live experience of gigging with those guys to date? The best experience I have of playing with the Haints was a venue we play in Lake Arthur, Louisiana. It’s a little tin shack surrounded by swamps and alligators. You can hardly believe it’s real. Last time I played there, we ended up de-shelling and eating crawfish right at the bar. 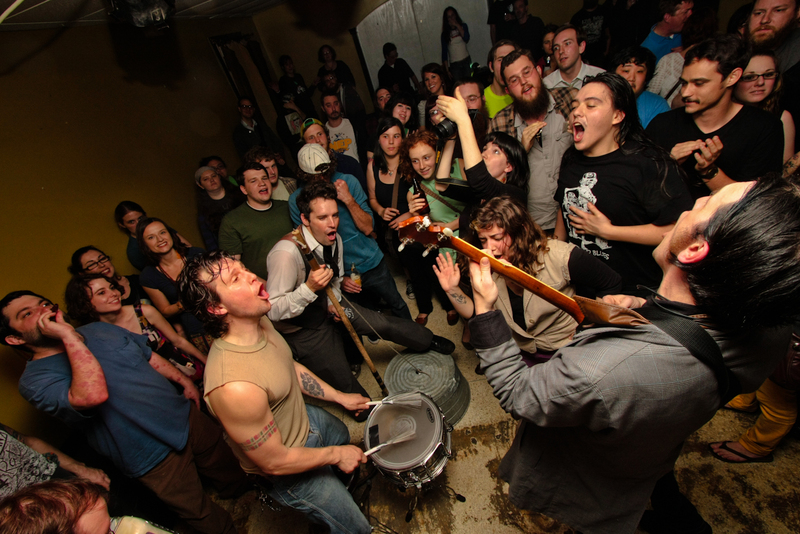 What can our audience expect from yours and the Haints sets? The way we play is very spontaneous. No set-lists, we just jump in there and play what feels right at the time. We are all really into the way The Pogues and The Dubliners play and interpret folk music. That’s sort of where we are coming from. It’s rough and ready roots music and some nights it gets very rowdy. I’m sure Barnsley will be no exception. I can’t wait. Extra support on the evening comes from the formidable Barnsley folk group Parson’s Lot, headliners in their own right who are guaranteed to get your clogs stomping every single time, and opening the show are acoustic trio The Rolling Down Hills, who fuse acoustic grunge with americana roots music.